December 13, 2012 (Stop Imperialism) - The complexities of the Arab Spring and the struggle for political freedom throughout the Arab world should not obscure what has now become an absolutely essential understanding for all anti-imperialists: the Muslim Brotherhood is one of the most powerful weapons of the Western ruling class in the Muslim world. While that may be a difficult pill for some to swallow for emotional or psychological reasons, one need look no further than the insidious role the organization is playing in Syria and the abuses of power and human rights of the government of Egypt. In the US-NATO sponsored war against the Assad government, the Muslim Brotherhood has emerged as the leading western-sanctioned force, the avant-garde of the imperialist assault. While, in Egypt, President Morsi and the Brotherhood government seek to destroy what had been, little more than a year ago, the promise of the revolution. This week's establishment of the Supreme Military Command, in charge of all military aid and coordination to the rebels, demonstrates unequivocally the leadership role of the Muslim Brotherhood in the drive for regime change in Syria. As Reuters reported, "The unified command includes many with ties to the Muslim Brotherhood and to Salafists...it excludes the most senior officers who have defected from Assad's military." 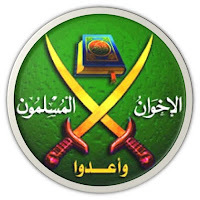 This command structure, formed at the behest and under the sponsorship of the US, UK, France, Saudi Arabia, Qatar and Turkey among others, does not simply include members of the Muslim Brotherhood, it is, in fact, dominated by them. Is it possible that the Western imperial powers simply did not notice that the group they were forming was comprised of these elements? To suggest so would be to accuse some of the leading "statesmen" of the world (Hillary Clinton, William Hague, Laurent Fabius, Ahmet Davutoglu, etc.) of being stupid. Alas, they are not so. Instead, these individuals have collaborated to create a Muslim Brotherhood proxy force in Syria, one that can be controlled and depended on to do the bidding of the West. However, it is not enough to say that the Muslim Brotherhood is heading this new military structure, for that would be to imply that they have not been playing a critical role all along. 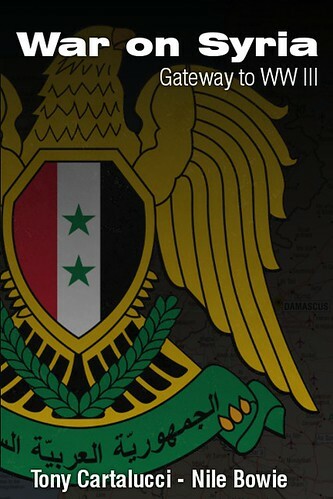 Rather, the organization has been central to the destabilization of Syria since the beginning of the armed conflict. The Syrian National Council, originally the face of the Western-backed "opposition" was itself dominated behind the scenes by the Muslim Brotherhood. As former Muslim Brotherhood leader Ali Sadreddine stated regarding the SNC, "We chose this face, accepted by the West...We nominated [former SNC head Burhan] Ghalioun as a front for national action. We are not moving now as the Brotherhood but as part of a front that includes all currents." Essentially then, we see that the organization has, from the very beginning, maintained a large degree of control of the foreign-based opposition, as distinctly different from the indigenous opposition of the National Coordinating Councils and other groups. The Muslim Brotherhood, an international political and paramilitary machine, has come to lead the battle against Assad government. In fact, the Muslim Brotherhood has provided many forms of leadership and assistance to the foreign-based, foreign-backed opposition beyond simply direct leadership. From providing diplomatic and political cover, to on-the-ground tactical support such as weapons smuggling, fighter recruitment, and other necessary responsibilities, the organization has come to permeate every aspect of what we in the West conveniently refer to as the "rebels". As early as May 2012, the Muslim Brotherhood in Egypt, the center of the organization, was already providing the political and diplomatic support the rebels needed to topple the Assad regime. As they were poised to win the Egyptian elections, the Brotherhood was busy making public comments about the need for Western military intervention in Syria. The organization's spokesman, Mahmoud Ghozlan stated, "The Muslim Brotherhood calls on Arab, Islamic, and international governments to intervene...to bring down the [Assad] regime." This brazen public statement flies in the face of all arguments which claim that the Muslim Brotherhood is somehow anti-imperialist, that they stand in opposition to Western dominance of the Arab world. On the contrary, though they may posture themselves as opposing the West, they are, in fact, tools of the imperial powers used to destroy independent nations which stand in opposition to US hegemony in the Middle East. Image: In the US-NATO sponsored war against the Assad government, the Muslim Brotherhood has emerged as the leading western-sanctioned force, the avant-garde of the imperialist assault. While, in Egypt, President Morsi and the Brotherhood government seek to destroy what had been, little more than a year ago, the promise of the revolution. This political and diplomatic backing is merely one aspect of the Brotherhood's involvement in the destruction of Syria. 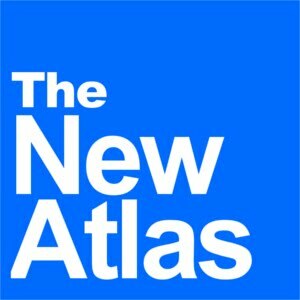 As the New York Times reported in June of 2012, "CIA officers are operating secretly in Southern Turkey helping allies decide which Syrian opposition fighters across the border will receive arms...by way of a shadowy network of intermediaries including Syria's Muslim Brotherhood." The use of the Muslim Brotherhood to smuggle arms to the rebels in Syria should come as no surprise considering the fact that it is the Sunni monarchies of the region (Saudi Arabia and Qatar primarily) who have been the most vociferous voices championing regime change in Syria by any means necessary. The relationship between these monarchies and the Muslim Brotherhood is self-evident: they share similar religious convictions and are avowed enemies of all forms of Shiism. Moreover, they have been part and parcel of the system of US hegemony that has kept the entire region under its vice grip for decades. Many have argued in the past that, though they share identical ideologies and "brand", the Syrian branch of the Muslim Brotherhood is somehow independent of the Muslim Brotherhood proper. This preposterous claim is countered by the simple fact that every public position the Syrian Muslim Brotherhood has taken has been in direct alignment with the public statements from Cairo. As the Carnegie Middle East Center's article The Muslim Brotherhood in Syria demonstrates, Since the beginning of the revolution, the Brotherhood has maintained that foreign intervention is the only possible solution to the crisis in Syria. In October 2011, it also called on Turkey to intervene and establish protected humanitarian zones in Turkish territory." When two entities bear the same name, have the same sponsors, and take the same positions, it is an exercise in willful ignorance to argue that they are somehow not the same entity or, as is more accurate, taking orders from the same masters. But who are these masters? In examining the utterly insidious role that the Muslim Brotherhood is playing in Syria, one must begin with an understanding of the historical relationship between the Muslim Brotherhood and Western imperialism. The organization was founded by Hassan al-Banna in 1928 with the intention of reestablishing a purer form of Islam as had existed centuries before. However, this was merely the religious veneer that was created to mask the political intentions of the organization. 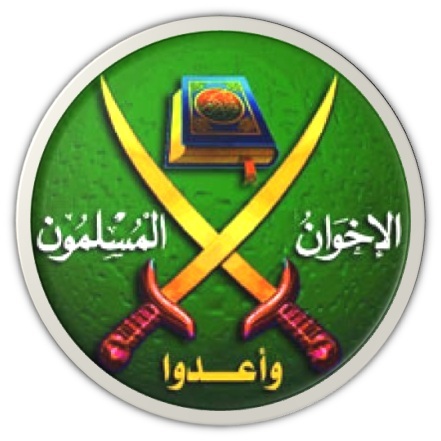 As explained in the Mother Jones article entitled What is the Muslim Brotherhood and Will It Take Over Egypt?, the author explains that, "The Muslim Brotherhood served as a battering ram against nationalists and communists, despite the Brothers' Islam-based anti-imperialism, the group often ended up making common cause with the colonial British. It functioned as an intelligence agency, infiltrating left-wing and nationalist groups." This indisputable fact, that the Muslim Brotherhood functioned, even its early days, as a de facto arm of Western intelligence, is critical to understanding its development and current political power. By then , the group's chief international organizer and best-known official was Said Ramadan, the son-in-law of Hassan al-Banna. Ramadan had come to the attention of both the CIA and MI-6, the British intelligence service. In researching my book ... I came across an unusual photograph that showed Ramadan with President Eisenhower in the Oval Office. By then, or soon after, Ramadan had likely been recruited as a CIA agent. Wall Street Journal reporter Ian Johnson has since documented the close ties between Ramadan and various Western intelligence services ... Johnson writes: ‘By the end of the decade, the CIA was overtly backing Ramadan.'" In order to fully grasp just how the Brotherhood developed into the organization we know today, one must understand the relationship between it and the royal family of Saudi Arabia. In fact, the Saudis have been the key financiers of the Brotherhood for decades for the same reasons that the United States and the Western powers needed them: opposition to Arab nationalism and the growing "insolence" of Shiite states. Dreyfuss writes, "From its early days, the Brotherhood was financed generously by the Kingdom of Saudi Arabia, which appreciated its ultra-conservative politics and its virulent hatred of Arab communists." Essentially, as the United States began to exert its post-war might throughout the region, the Muslim Brotherhood was there to be a willing beneficiary and humble servant sowing the seeds of hatred between Sunni and Shia, espousing a hate-filled Salafist ideology that preached conflict and inescapable war between the branches of Islam. Naturally, all to the benefit of Western powers who cared little for the ideology and more about the money and resources. It is often argued that, though the historical record unequivocally shows the Brotherhood as intimately connected to Western intelligence, somehow the organization has changed, that it has become a peaceful force for political progress in the Arab world. As recent events in Egypt have shown, nothing could be further from the truth. With the undemocratic attempted power grab by Egyptian President Morsi, the scaling back of civil liberties, the rights of women, and religious and ethnic minorities, the Muslim Brotherhood has shown itself to be little more than a reactionary political force parading itself as a form of "progress". If one had any doubts as to the true intentions and motivations of the Muslim Brotherhood once in power in Egypt, one needed look no further than its position on the institutions of global finance capital, particularly the International Monetary Fund. In one of the first decisions taken by Morsi and the Muslim Brotherhood government, Cairo established that it would, in fact, welcome conditional loans from the IMF to rescue itself from the prospect of a continued economic crisis. However, as part of the conditions of the loan, Morsi's government would have to drastically reduce subsidies, regulations, and other "market restrictions" while increasing taxes on the middle class. Essentially, this meant that the Brotherhood consented to the usual cocktail of austerity medicine that had been administered by the agents of finance capital so many times all over the world. This, naturally, begged the question: Was this the end of the revolution? Indeed, many in the streets of Cairo are asking themselves this same question. Or, to put it more accurately, they already know the answer. Eric Draitser is the founder of StopImperialism.com. He is an independent geopolitical analyst based in New York City. He is a regular contributor to Russia Today, Press TV, GlobalResearch.ca, and other media outlets. You can reach him at ericdraitser@gmail.com.